Coming in first place is this little gem of a post, that seems to have a life of it’s own on Pinterest, due to one little picture of a little boy holding the sight word “the” printed on a piece of construction paper! It has been repinned, and repinned, and repinned, etc., etc., etc.! I would have never guessed that this post would have gotten THAT many hits! The idea is to take a picture of each child holding a sight word, and then make a Power Point presentation out of the pictures and drill the kids on the words using it. 2. 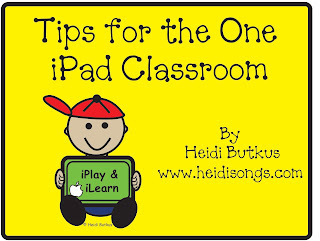 Tips for the One iPad Classroom, and a Free iPad Rules Download! I never would have guessed that this post would have been quite that popular, except that I knew that the free rules for the iPad poster would be a hit! 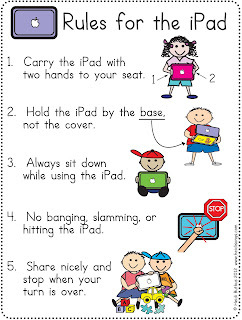 I got the idea of posting tips for the one iPad classroom when some colleagues of mine at school were asking me what to do with their iPads when we all received one at school. What can you do with just one? This is a free download on the above post, and is printable in two sizes. 3. 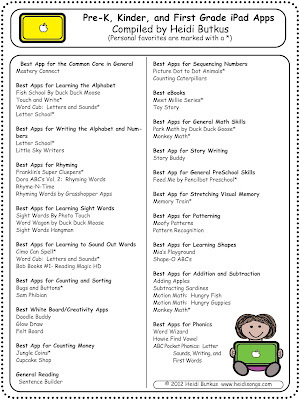 Great iPad Apps for Pre-K and Kindergarten! This page is a free download here on this post. 4. 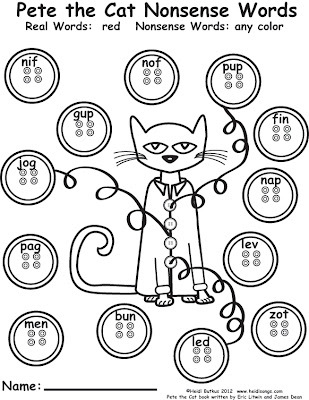 Pete the Cat Freebies- Guided Drawing, and More! Coming in third place is a post with a bunch of Pete the Cat freebies. That one was a no-brainer. Who doesn’t like Pete the Cat? And here’s yet another Pete the Cat post: A Pete the Cat Freebie- and a Brand New Wiggles Book, too! I posted this when I first realized that I could probably draw a reasonably good Pete the Cat. So glad I tried! Plus, the Wiggles book is soooo helpful in teaching kids the rules and reviewing them in a fun way! And finally, here’s one more related post with some more Pete the Cat stuff, but for Christmas: “Pete the Cat Saves Christmas Freebies and Book Review.” It hasn’t had as many hits, but that’s probably because it hasn’t been there as long. This page is a free download on this post here. This post has gotten tons of hits and comments, and I suppose that it is because of the simplicity of the idea, combined with the fact that it is a topic that kids all love, and there is a free download attached. Everybody loves a freebie! Plus, it’s really fun to blacken out a tooth and count how many are left, LOL! These pages are a free download on this post here. Oh, my goodness! If I had had any clue what a popular thing these little worksheets were going to be, I would have pushed myself to get them done YEARS ago! Duh! 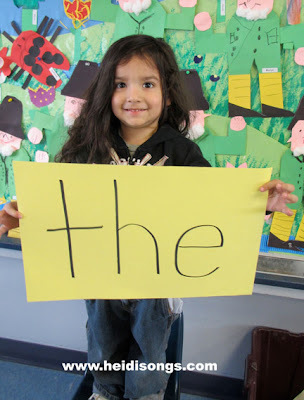 Just the ONE picture of my first worksheet on the word “the” has been repinned from my board 163 times– never mind how many other people pinned it off of my blog and also pinned it themselves! The Hidden Sight Word Worksheets for Sing and Spell the Sight Words Volumes 1, 2, and 3 are finished and for sale on our website. We are still working on creating the worksheets for volumes 4 and 5. And guess what? 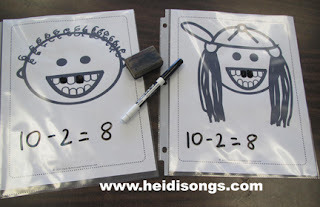 We already finished some to go along with our alphabet songs and those will be posted in a week or two! 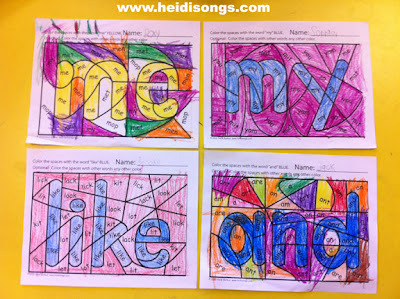 There are a couple of free samples of the Hidden Sight Word worksheets on this blog post here. 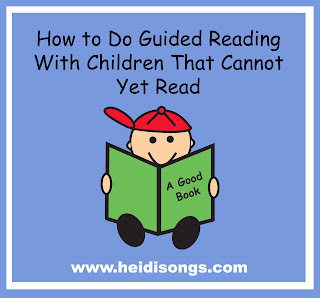 I got the idea for this post when a teacher friend of mine emailed me, saying that she was now expected to do guided reading with her pre-K students who could not yet read, and did I have any idea what to do? So after I emailed her my response, I assumed that if she had this question, there must be others that have the same questions that she did. So I expanded on my response a little bit, and voilá! This post has seemed to really meet the needs of many teachers with the exact same problem. I’m so glad I could help! I enjoy being needed. I think that the best posts come from my own experiences in the classroom, and this post was certainly derived from exactly that! 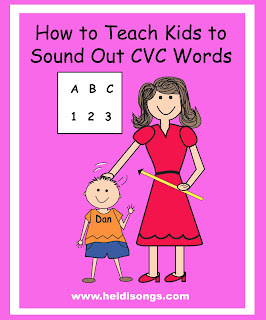 This post, and the two that came before it, “More Tricks For Sounding Out CVC Words” and “How to Teach Kids to Sound Out CVC Words” have gotten a LOT of hits, and I’m sure that is because we all share the same experiences in the classroom. And it is doggone HARD to teach little kids to blend sounds together- especially when they don’t seem to be developmentally ready to do so! And with the standards pushed so terribly high, that seems to happen a lot these days! 9. 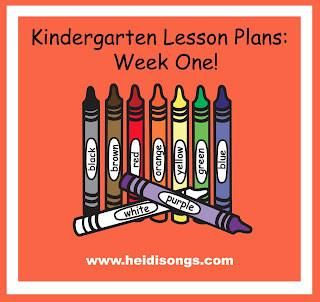 Kindergarten Lesson Plans, Week One! I think that the title of this post just drew the visitors, and that was that. I’m glad that it did, because I distinctly remember it taking a LONG time to write it all down! Plus, I know that just getting that first week’s plans down can be the hardest part of making lesson plans for the whole year, and that’s why I posted them. Here is another post that is based on one of my own experiences in the classroom, and what has worked for me as an experienced teacher. 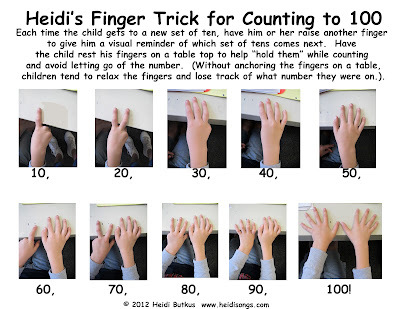 I think the thing that has drawn the most views, though, is the picture that I pinned to my Math Pinterest Board of “Heidi’s Finger Trick for Counting to 100.” It really works, and it has been repinned lots of times!